Click on the "Insert Video popup" button to add your video. 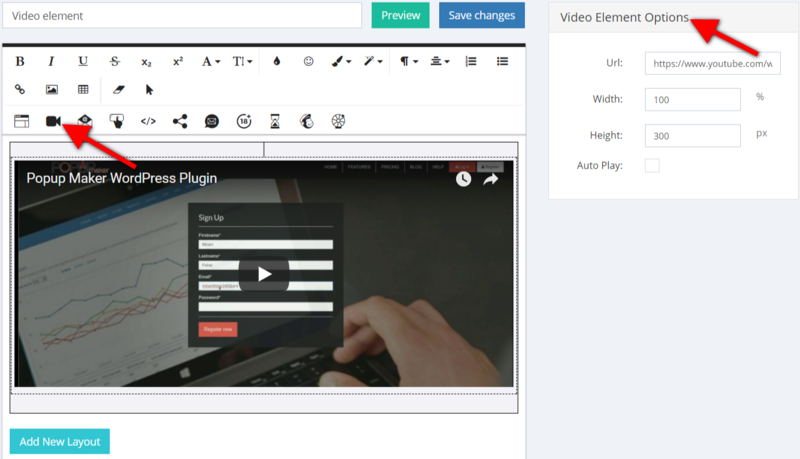 On the right corner of your editor page, Video Element Options will appear. Width - Set the width of the video of your popup in % or in pixels. Height - Set the height of the video of your popup in % or in pixels. Auto Play - Check this option, and your video will automatically play when the popup opens.